My Take on it – Crash is one of those rare movies (post 1988) , that I actually saw the Oscar best picture winner AFTER it had won and not prior. Having seen it afterwards, I had much higher expectations for it, but I also knew about all the controversy surrounding it’s Oscar win. It beat Brokeback Mountain (2005), Munich (2005), Good Night, and Good Luck (2005) and Capote (2005). Having seen all 5, I still believe that Munich was the best of this somewhat mediocre bunch. I am quite surprised that the Golden Globe best Musical comedy winner Walk the Line (2005) wasn’t even nominated. In my opinion, it’s a better movie than all the other 5 nominated. The stories in Crash are somewhat short [unlike the way Tarantino did Pulp Fiction (1994)] and here lies the weakness, I think. This movie has too many stories that seem like snippets and in the end although it was enjoyable and entertaining, you get the feeling that it’s incomplete. Perhaps that’s the idea here, maybe they want you to realize that the movie is just a snapshot of a few days and the story is book-ended by the past and future of these characters which we all need to fill in on our own. Besides that issue, this movie is done very well, has great actors and there are even a few scenes that pack very emotionally punches. I agree that Munich was the better movie of the bunch. 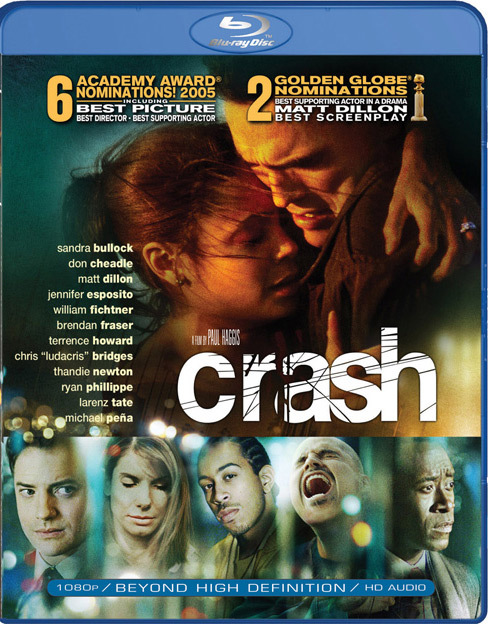 I for one, thought Crash was nothing special at all. You’re right about it having too many stories. The movie tried too hard to be good and came off just barely mediocre. It was a film loaded with wasted talent. Just my opinion of course, good review. yeah, but a movie about Israelis seeking revenge didn’t have a chance even with Spielberg at the helm. Crash got all the anti-gay support from Hollywood old timers. Agreed. On every point (well except that I saw Crash prior to its Oscar victory). Munich is the best of the bunch nominated. Walk the Line is probably better than it, and Crash won only because it was included in a list of relatively weak nominees. Good review! I LOVED Walk the Line (2005), too bad it didn’t make the cut because maybe it would have been able to top Crash (2004) here. Gotta re-watch that one soon.